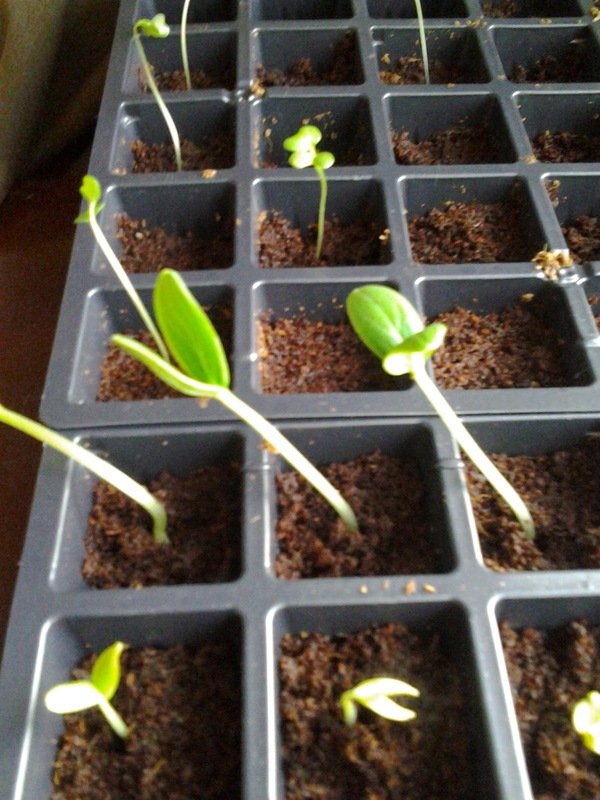 Apparently, I've Been Domesticated: Seedlings! Screw this snow crap. I started seeds. The trays have sprouted. The spinach, peas and kale outside, not so much, but it's early. The asparagus is still sleeping underground. I'm pretty sure the artichokes did not survive the winter. Honestly, they look like deformed penises sticking up from the ground. that they will make a comeback.